Rosario: La Ciudad de los Niños in Argentina (Rosario: the city of children), launched in 1996, promotes child participation through Child Councils. Currently, there are 10 Child Councils distributed in different areas of the city where children between 9 and 10 years of age participate once a week. 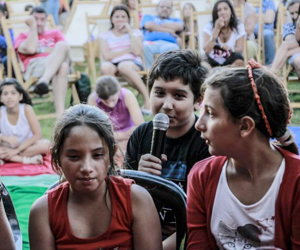 The Councils hold special sessions during which children exchange their experiences and prepare an annual project to present to the City Council of Rosario. Click here to learn more. The Jeel962 National Youth Network (Jeel means generation in Arabic and 962 is Jordan’s country code) provides life-skills training and encourages active civic engagement of young people aged 13-24 throughout Jordan. It provides a platform where young people can interact, learn, analyse, take action on their rights, become civically engaged and effective agents of change in their communities. 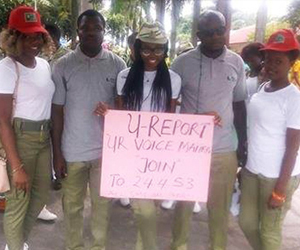 The Network is managed independently by youth who are elected by their peers. Click here to learn more. 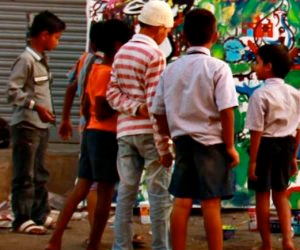 Humara Bachpan (“childhood matters”) is a nonprofit organization advocating for better living conditions for children who subsist in urban poverty in India. The campaign is now active in 23 Indian cities and has engaged over 35,000 children on issues such as opposing open defecation and demanding more public toilets. It recently initiated Sambhavi, a campaign that promotes economic empowerment of women and youth which reached over 6,300 women and over 2,000 youth in Bhubaneswar. Click here to learn more.